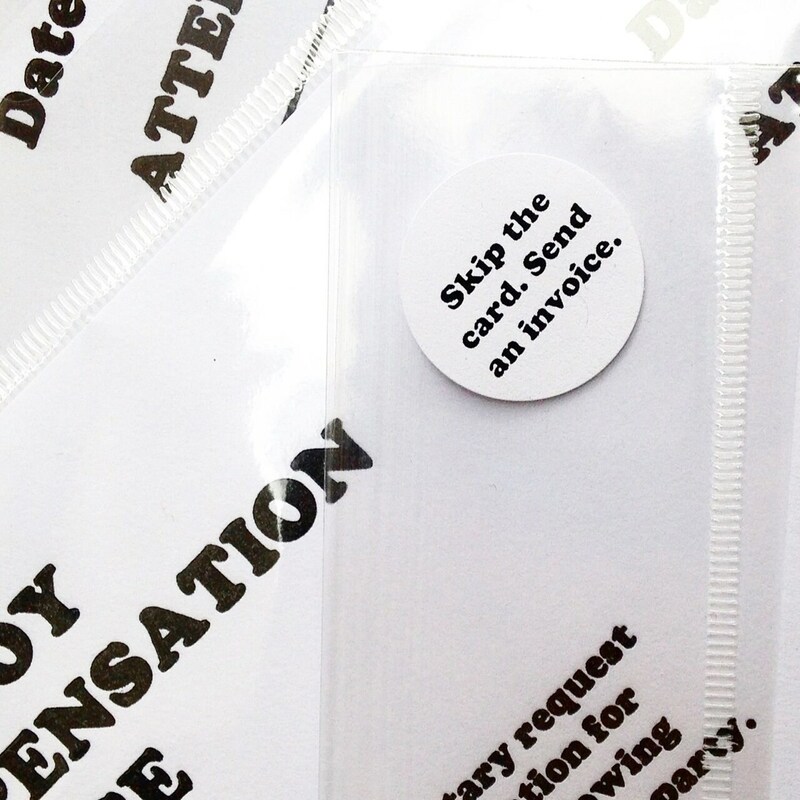 This artist-editioned, hand-printed Fuckboy Compensation Invoice is a humorous-yet-practical invoice to send bum lovers for treating you or your loved ones inappropriately. 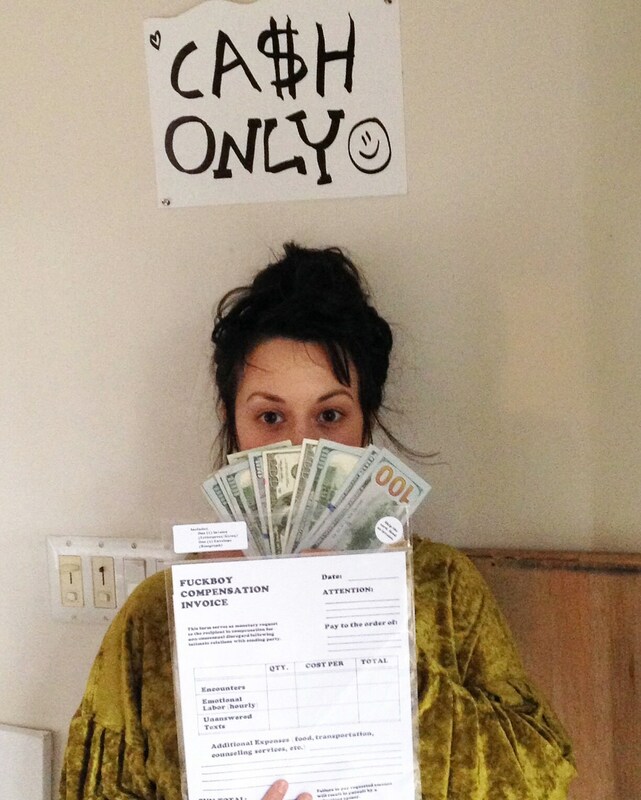 A mix of letterpress, Risograph, and Xerox printing processes, the Fuckboy Invoice includes one (1) invoice sheet and one (1) matching envelope. Printed on luxurious 100% cotton paper with embossed text, the Fuckboy Invoice is legit and very professional. 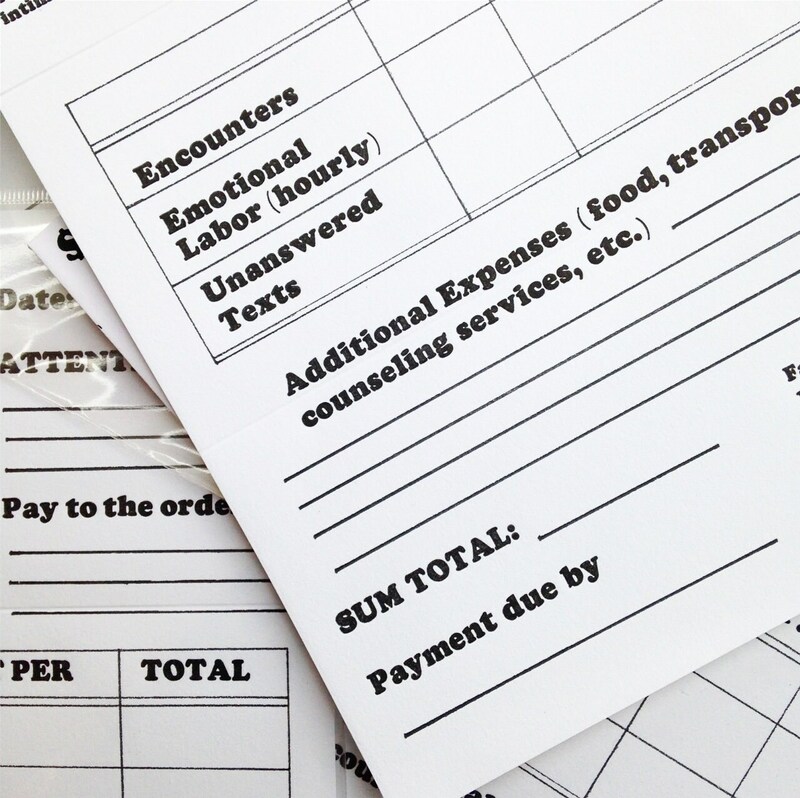 Fill out the invoice as you see fit, and send the letter off to a lucky recipient of your choice. Who knows, you may receive payment within a few days!!! An ideal gift for your homies, or for your roommate who just can't seem to pick 'em; the Fuckboy Compensation Invoice is in its first edition and ready to be mailed out in time for the holidays. Comes packaged in a sealed poly bag.